Presented by the UCI Law Center for Biotechnology & Global Health Policy, the UCI Law Center on Law, Equality and Race, and the UCI Initiative to End Family Violence. Please RSVP for each event below. Seating is limited. Lunch will be provided during events on March 12, March 22, and April 5. The #MeToo Movement has drawn its energies from longstanding practices in the feminist movement. At the same time, it displays some of the same weaknesses—including privileging, silencing, and infighting as it grapples with backlash. 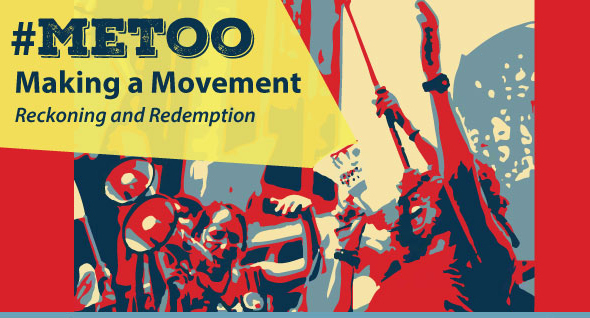 This session will explore some of the tensions in the movement and lessons that might be learned to build a movement that leads to sustained social change. Incidents of sexual misconduct in institutions of higher education have been drawn out of the shadows and into the sunlight in recent years. Many universities have strengthened their Title IX policies and developed stronger counseling and resource programs. This session will look, first, at ongoing efforts in making educational institutions safe for all and, second, at what is still needed to cultivate nurturing learning environments. Recent events have brought sexual misconduct in Hollywood to the fore. At the same time, sexual assault, harassment, coercion, and gender-based hostility are rampant throughout workplaces and professions far less glamorous. This session explores the dynamics of power differentials and vulnerability, as well as efforts that organizers and workers are taking to give voice to the most vulnerable workers. Some of the most egregious abuses have raised issues related to vulnerability, relationships of deep trust, and the banality of sexual misconduct. The #MeToo movement has taken a punitive turn without much attention to what punishment means for perpetrators, victims, and communities. Difficult cases, in particular, prompt questions about what just reckonings, forgiveness, and redemption might involve—and whether they are possible.